Oh boy, what did I get myself into? See, until I read this book, I never really had a clear idea about the history of Ancient Rome. I knew there was a Julius Caesar, an Augustus, Tiberius, Caligula, Nero, Constantine, but I never really figured out how they all related, and how they all succeeded each other. This book actually enlightened me when it comes to history. After reading this book, I had a better idea of how it all happened. This book was actually written in 1934, yet it was written in such a way such that it felt like it was actually Claudius who was writing it, as an autobiography. 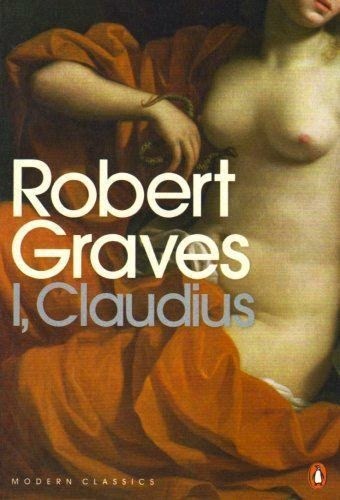 At times, I felt like I hated it because it felt like a dry antiquated history book, but then later on I realized that that was in fact Graves' point: he wanted to make the novel feel like it was an antiquated history book. When I realized that, I changed my impression of the book, and actually grew to like it. One needs to give kudos to the author who can write in a style seemingly not his own. I won't give a synopsis here; broadly speaking, this book covers the history of ancient Rome from the reign of Augustus Caesar until Caligula's assassination. If you want to know more, read the articles in Wikipedia. But what I really would like to emphasize here is the magnificent writing style. I find myself getting disgusted more and more of the Romans, with their pagan and incestuous habits, and their emperors' tyrannical behavior. It makes me really grateful that I live in the 21st century, and not in the first. With emperors acting on their whim, divorcing and killing people like they are mere dolls, it is a very tragic time to live in. The Romans were quite barbaric, to put it mildly. Somehow, I wonder about these things when I see people from Italy, France, Spain, and other Romance-language-speaking country, and think, wow your ancestors are so barbaric. But that is unfair. Barbaric behavior is prevalent back in those days, whether you're in ancient Rome or in Genghis Khan's kingdom. And even now in the 21st century, there are barbaric behavior, such as what Boko Haram and the Islamic State are doing. After all, barbarism is just relative, depending on what the majority thinks. This novel definitely gave me perspective, making me familiar of human traits, both good and bad, that have been evident in human history since antiquity, and how it manifests in various political and personal behavior. Overall, I loved reading this book. Definitely recommended. I give this book 5 out of 5 stars.